Discussion in 'Community Projects' started by darthmorf, May 1, 2017. The last month of spring is upon us, and it is time to enjoy some great pieces of work from the community! Remember to read the rules of entry! Because Skeletron Prime just has awoken. But a laser hit him and now he's dead." Thanks to everyone for their wonderful entries! Ghoul, Daikonradish, Boltlord and 50 others like this. Good stuff from everyone, love the builds here! Vladimier, Daikonradish, darthmorf and 1 other person like this. Great builds and art everyone! Vladimier, Daikonradish and darthmorf like this. Daikonradish, Gearzoid II and DankySkeleton like this. ppowersteef, Daikonradish, Gearzoid II and 1 other person like this. Good builds and art everyone! Really liked 360Chadscopes, Xags, Architects, Mochas and Neoselkets builds as well as What's in a Names, Stars, DTmayos, BUNCEs and RileyTNTs art . Vladimier, 360Chadscope and Jill like this. hey, some pretty good stuff this time! @SkullArts , is... is that a 3D model? Dude! You're giving me memories when Minecraft 3D models were the equivalent to Terraria spriting! @Dtmayo , is that a rug? That's pretty good! @Dg-vr , you're a little late, buddy. Nice drawing, though! Here's to the next Creation Compendium! And happy 4th anniversary! Vladimier, SkullArts, DeletedAccount343 and 1 other person like this. No doubt, there is a good amount of passion contained in these entries. I'm looking forward to seeing next month's Compendium. Daikonradish and Gearzoid II like this. holy crud, it just puts a bright smile on my face, seeing everyone`s hard work (including mine ) being displayed among a large audience, showing what potential each person has! Orion_Bright and Daikonradish like this. Wow, these are awesome! 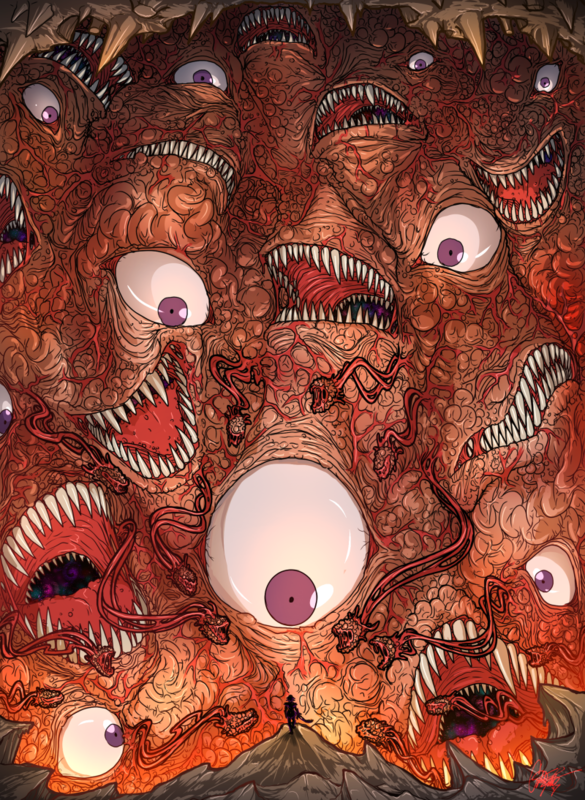 I love the 3d drawings of the Wall of Flesh, it's so funny to me to imagine how he'd look irl. This community never ceases to amaze me. DankySkeleton, darthmorf, Daikonradish and 1 other person like this. When I have a better computer I will make something really awesome for this Creation Compendium thingy. Martin the lvl 10 wizard, Canito, DankySkeleton and 3 others like this. Man @Daimera ! That's one amazing drawing as always..! Also, @RileyTNT , I love your drawing being so dynamic! Canito, Safeman and DankySkeleton like this. Nevermind, good entrys everyone! :3 I'll try to make a drawing the next time. wow guys this is truly awesome!!! Yea it can be used as a rug but I'm using it as a wall hanging. It's a latch hook project . I'm glad you like it. InstaFiz, DankySkeleton and Safeman like this. Glad to see so many entries! And this round is pretty exceptional Thanks to everyone for sharing! Gearzoid II, Canito, darthmorf and 1 other person like this.